Treat yourself with this blue Cyclone fidget spinner, our gift to you! 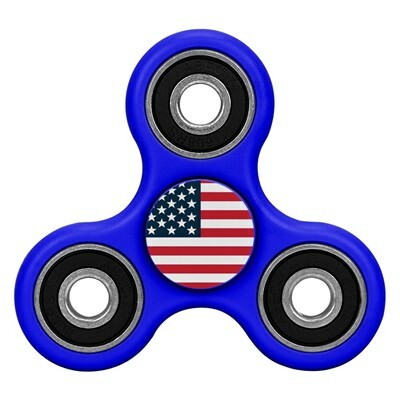 Featuring a sturdy, long wearing plastic body with metal counterweights (the better to spin with, my dear) and the American flag proudly emblazoned on the large middle imprint area! This gift is the perfect size for your hand, nearly 3 inches wide and tall. Not only is this gift patriotic, it’s fun too! WARNING! Choking Hazard - small parts. Not for children under 3 years of age. For ages 12 and up.